David Frischman (1859-1922) was born in Zgierz, near Lodz, Poland, to a well-to-do mercantile family which, although traditional, approved of the Haskalah. His education included the humanities as well as Hebrew religious studies. His first work, an original short story, was published in 1878. He then moved on to writing poetry and polemical essays. Between 1890 and 1894 Frischman studied philology, philosophy and the history of art at the University of Breslau. He returned to Warsaw in 1995 and until 1910 worked translating the works of writers such as George Eliot, Pushkin, Byron and Nietzsche into Hebrew. In 1901 Frischman became editor of a literary weekly, Ha-Dor, whose high literary standard attracted the most talented writers of the day. However, limited circulation forced the weekly to close down after a year. He also edited a number of literary supplements in Vilnius and Warsaw as well as a series of anthologies including his translation of Thus Spake Zarathustra. 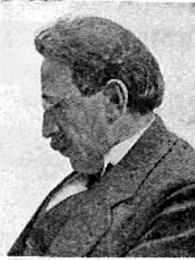 Frischman visited Palestine twice, in 1911 and 1912. He published his travel impressions in a small book, In the Land of Israel, in 1913. He wrote about the landscape, the holy places, the pioneers, and the beginning of the revival of Hebrew. He openly retracted his reservations about the rebirth of Hebrew as a vernacular. At the outbreak of World War I, Frischmann, in Berlin at the time, was imprisoned as an enemy alien. Eventually he was set free and allowed to return to Poland, but when the German army neared Warsaw, he left for Odessa, where he remained until the Russian Revolution. 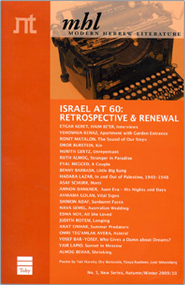 A Hebrew literary center formed in Moscow after the 1917 revolution, and Frischmann was invited to be the chairman of the editorial board of Stybel Publications. In 1919 Stybel was closed down and re-established itself in Warsaw, where Frischmann continued in his capacity as editor.